The square kilometre array (SKA) is a radio telescope being built for the purpose of understanding the origin and evolution of the universe. With an effective collecting area of one square kilometre, it is going to be the largest telescope ever built. The telescope is currently in the design phase, and the construction is expected to start in 2024. There are two phases of the construction, with the first phase designed for ten percent of the total capacity of the telescope. The costs of the second phase has not yet been worked out. The telescope is expected to start its observation runs in 2028. In South Africa, the MeerKAT telescope with 64 antennas is undergoing verification tests and is expected to be the largest radio telescope in the southern hemisphere, till the SKA is realised. 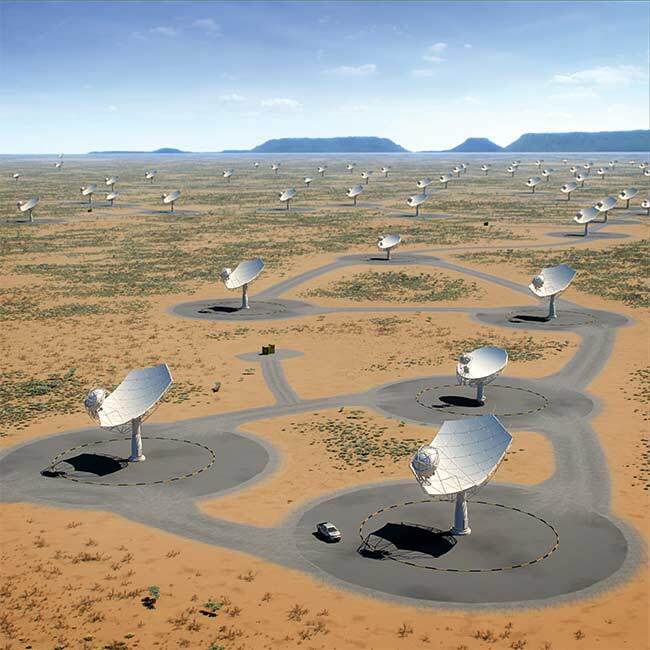 The MeerKAT array will be absorbed into the SKA, and become a part of it. MeerKAT is just one of the many telescopes around the world, that are being built just so that scientists can get the experience necessary to design and built the SKA. Around the world, are several officially designated SKA pathfinder telescopes, that are engaged in observational campaigns and science activities similar to what the SKA is being designed for. These telescopes provide the feedback necessary to the design teams. One of these telescopes, the Giant Metrewave Radio Telescope (GMRT), is located in India. The building of the SKA is a global effort, that is already decades old. In 1993, the International Union of Radio Science (URSI) established the Large Telescope Working Group to work out the details of building the next generation radio telescope. Between 1997 and 2007, a number of international collaboration agreements were drawn up towards the effort. The effort is headed by the SKA organisation, a non profit company based in the UK. The twelve participating countries which are a part of the SKA organisation are Australia, Canada, China, France, India, Italy, New Zealand, South Africa, Spain, Sweden, the Netherlands and the United Kingdom. Academic institutions and government organisations from these countries are involved in the project. The National Centre for Radio Astrophysics is the participating institution from India. The antennas of the SKA will be physically located in Australia, Botswana, Ghana, Kenya, Madagascar, Mauritius, Mozambique, Namibia, South Africa and Zambia. Apart from these, twenty other countries are participating in the technical aspects of the design and development of the telescope. These countries include Germany, Portugal and Japan. In all, an estimated 40 percent of the population of the world, is involved in some way or the other, towards the building of the SKA. The radio telescope is one of the largest scientific endeavors ever undertaken. The SKA telescopes will be arrayed in the form of a spiral galaxy, with individual astronomical instruments spread out across Africa and Australia. This arrangement of dishes will create a long baseline interferometer array, such as the The Very Long Baseline Array (VLBA) in the US and the LOFAR telescope in the Netherlands. The telescope will be made up of thousands of high frequency, mid frequency and low frequency dishes. Ideally, the best configuration for the telescope for obtaining the highest resolution imaging capability, was to randomly distribute the receiving telescopes. However, practical considerations such as the physical construction and linking of the telescopes with cables would make the random distribution very difficult, and expensive. A suitable compromise between cost and resolution, was the spiral configuration chosen. The SKA layout. Credit: SKA Organisation. 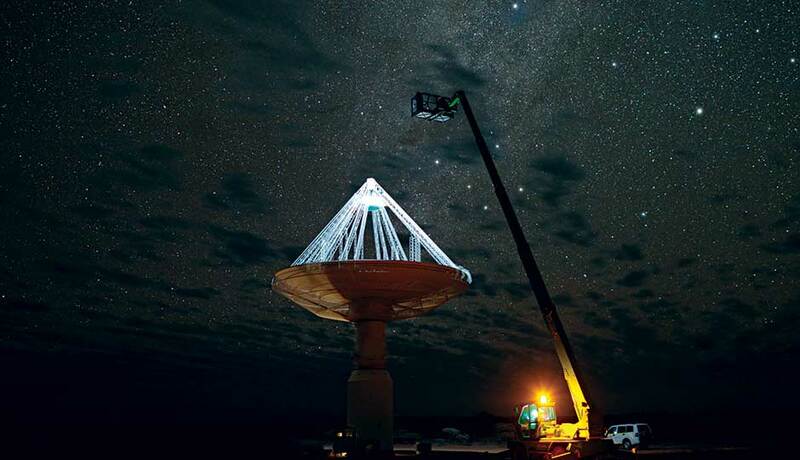 The design approach allows for researchers to use the entire array as one single telescope, or divide the dishes up into multiple smaller telescopes, by smartly processing the signals from an arbitrary subset of the SKA. Now the distances between the dishes are known, and this is factored in by computers that process the signals. Whether the entire array is working as a single telescope or multiple smaller telescopes, the principle is the same. The signals from multiple dishes are combined together and synthesised by computers, effectively creating an astronomical instrument that stretches the distance between the telescopes receiving the signals. Persistent Systems, a company based in Pune, is tasked with designing the software for controlling the telescope, as well as managing the data. Snehal Valame, engineering head at Persistent Systems, explains the sheer volume of the information that will be gathered, and how it will be processed “here’s a fact to give you a sense of just how much data the SKA is expected to collect: a single day’s worth of collected data would take around 2 million years to play back on an iPod. We’re gearing up to take on that huge volume of data by willing to extend our expertise in the area like Big Data and Machine Learning. SKA currently is in its bridging phase, moving from pre-construction to the construction phase Activities like laying out an efficient design, software architecture, minimizing the risks for construction period via prototyping for all the SKA consortia are in progress. Persistent Systems is involved in two consortia under SKA: Telescope Manager, and Signal and Data Transport. Telescope Manager deals with the Telescope Controls and Observation Management for SKA, and Signal and Data Transport deals with designing a resilient and robust monitoring network system as is required for the heterogeneous network of SKA. We will be drawing from the prototyping we did for The GMRT.” The central computer of the SKA will have the processing power of one hundred million desktop computers. There are several science goals of the SKA, each of which have their own working group. Our telescopes peered into distances of 13 billion light years from Earth, at a time when the universe was less than one billion years ago. The SKA will be able to peer farther back into time, and witness the formation of the first galaxies. This was when the first proto galaxies and quasars were being formed, the faint light from these objects are absorbed by other matter between these objects and the telescopes of the Earth. The SKA will be able to study the objects with extreme redshifts, and produce high res images of these radio sources. 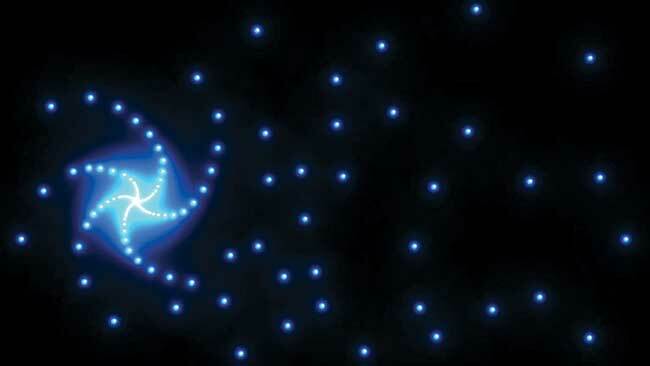 These are expected to be images of the first light sources in the universe. The SKA will also be able to scan the skies of exoplanets, looking for biosignatures, or molecules and elements that signify the presence of life, including amino acids. The telescope will also investigate planetary formation in accretion disks around young stars. The SKA will also explore the mysterious phenomenon of acceleration, trying to understand why the universe is expanding faster, and by how much. An artist’s impression of the SKA in South Africa. Image: SKA Organisation. Another mysterious phenomenon the SKA will explore, is that of Dark Energy, an unknown force that seems to counteract the phenomenon of gravity. This is the force that makes the galaxies fly apart from each other, instead of being attracted to each other. The sensitivity of the telescope will allow researchers to investigate magnetic fields of other stars and planets, which are invisible to optical telescopes. The SKA will do so by observing the interactions of high energy particles with these magnetic fields. The SKA is being built and designed as a sensitive and versatile discovery machine, flexible enough to find things that scientists have not yet anticipated.